The market for pharmaceutical products based on cannabidiol (“CBD”) got a big boost, courtesy of the U.S. Food & Drug Administration. The FDA has approved GW Pharmaceuticals’ drug, Epidiolex, for the treatment of severe seizures in children with epilepsy. This is the first pharmaceutical-grade version of cannabidiol approved as a treatment for a serious and life-threatening disease. The approval dovetails with a concerted effort by university and pharmaceutical researchers to test CBD’s effectiveness against a variety of diseases and disorders. The combination of the FDA’s approval of Epidiolex, with the ongoing scientific and clinical research on CBD, bodes well for other pharmacological targets for the cannabis-derived compound. 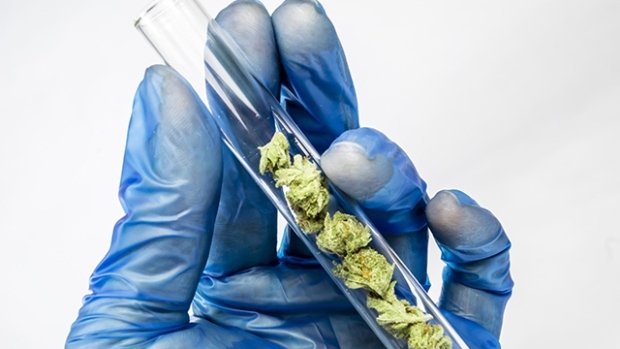 With analysts estimating that Epidiolex could be a US$1 billion drug for GW Pharmaceuticals, the market is beginning to give this sector of pharmaceutical research a closer look. What investors are finding is four publicly-traded companies, including GW Pharmaceuticals, that offer exposure to pharma-grade CBD products. Of these, perhaps the most advanced is Kalytera Therapeutics Inc. (TSX.V: KALY), a company whose lead product is well along in the FDA approval process for a CBD-based drug to prevent and treat Graft Versus Host Disease (“GVHD”). GVHD occurs when the donor cells from bone marrow transplants attack patients’ internal organs. GVHD is associated with acute and chronic illness, infections, disability, reduced quality of life, and even death. Kalytera’s GVHD program is in an ongoing Phase 2 clinical study in the prevention of GVHD, and a Phase 2–3 pivotal, registration study is scheduled to begin later this year to evaluate CBD in the treatment of acute GVHD. Thanks to the approval of Epidiolex, there is now a precedent for a pharma-grade CBD product that the FDA has approved. They say a rising tide lifts all boats, and that definitely could be the case with the other companies developing pharma-grade CBD-based therapeutics. These companies, Kalytera included, will likely see increased investor interest. Kalytera has received two U.S. patents covering the use of CBD in the prevention of GVHD. It also has four orphan drug designations for the treatment and prevention of GVHD in the U.S. and Europe. And the company’s CBD-focused GVHD drug isn’t the only program in Kalytera’s stable. At an earlier stage of development is a novel cannabinoid-based compound focused on the treatment of acute and chronic pain. Kalytera is working with a CBD compound called desoxy CBD that, when wedded to an over-the-counter medication, could provide the company with a unique, patentable application for pain relief. The company is bent on creating a product that is an effective pain management drug, without the risks of addiction or respiratory suppression that exist with opioid analgesics. For now, though, Kalytera’s primary focus is on developing its GVHD product, and with the approval of GW Pharmaceuticals’ CBD-based treatment for juvenile epilepsy brightens the smaller company’s prospects considerably. GW Pharmaceuticals currently has a market cap in excess of US$4 billion. By contrast, Kalytera has a market cap just shy of C$30 million. And while its initial product is targeting a smaller market than Epidiolex, proof that CBD is safe and effective for juvenile epilepsy should give investors hope that Kalytera’s (TSXV: KALY) CBD therapeutic may receive approval as well.